The Australian Taxation Office (ATO) will acquire data to identify individuals that may be engaged in providing ride sourcing services during the 2016–17 and 2017–18 financial years. Details of all payments made to ride sourcing providers from accounts held by a ride sourcing facilitator will be requested from a financial institution for the 2016–17 and 2017–18 financial years. Ride sourcing facilitators provide an electronic platform enabling members of the public to engage the services of a ride sourcing provider (a driver). 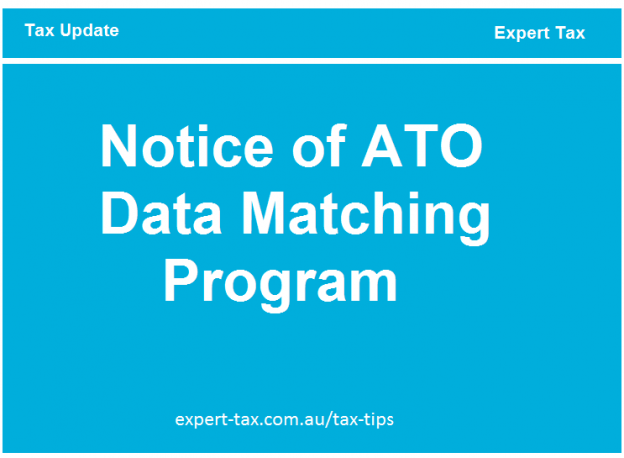 The data ATO acquire will be electronically matched with certain sections of ATO data holdings to identify taxpayers. ATO can provide them with tailored information to help them meet their tax obligations or to ensure compliance with taxation law. It is estimated ATO will obtain records relating to up to 60,000 individuals. Promote voluntary compliance and increase community confidence in the integrity of the tax system. Identify those individuals failing to meet their registration and/or lodgement obligations and assisting them to comply. Gain insights from the data that may help to develop and implement treatment strategies to improve voluntary compliance; which may include educational or compliance activities as appropriate. Obtain intelligence to increase our understanding of the behaviours and compliance profiles of individuals providing ride sourcing services. Call us on 0449 952 855 to book an appointment for lodgment of your tax return. You can also get in touch with us by sending your query via our website – www.expert-tax.com.au or email us at info@expert-tax.com.au.